A city buzzing with millions of motorbikes with every possible color and shape and can transport things you could never imagine is possible even in a million years, Hanoi, Vietnam is definitely Southeast Asia’s rising star for the adventurous and spontaneous. With a population of about 8 million people and counting, and gateway to a handful of UNESCO World Heritage Sites such as Halong Bay and Ninh Binh, this Vietnamese capital city is destined to earn its rightful place as one of the region’s most exciting places and cheapest places to visit. But what is there to do in this charming town? 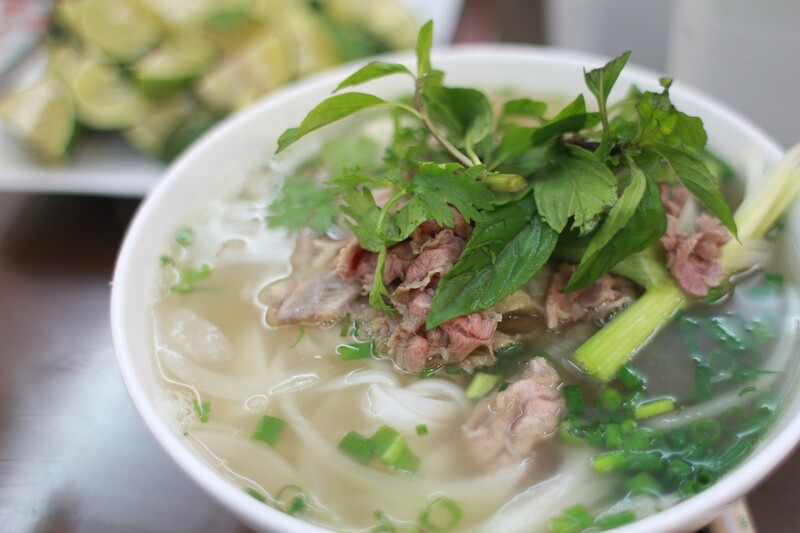 No, we’re not just talking about popular dishes such as Pho or Bun Cha. We’re talking about traditional dishes such as Bun Dau Mam Tom (fried tofu dipped in shrimp sauce), Pho Cuon (rolled rice pancakes with shrimps and veggies), and all the other noodle and rice dishes out there that’s available in the city’s specialized, decades-old, family-run restaurants that you can find all over the city. Fancy a snack or a drink while you’re jumping from one restaurant to the other? Why not? 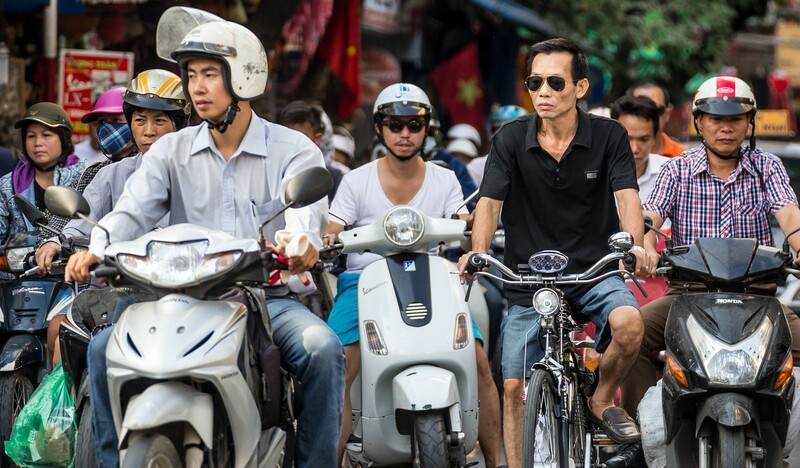 Street life in Hanoi is as vibrant as the people that live in it. Whether it’s a stopover for a glass of bia hoi (Vietnamese draft beer) or two, a sip of a refreshing tra chanh (lemon tea), small bites of nem ran (street-style fried meat rolls), or even a glass of traditional che (Vietnamese-style sweet soup dessert), your options are as endless and can last until your stomach starts to say no to good food and amazing treats. This should be in everyone’s top list of things to do in Hanoi. Since Hanoi capital is not as big as your other major neighboring Southeast Asian cities like Manila, Bangkok, or Kuala Lumpur, getting out of the city is actually necessary or even sometimes mandatory for those people who make a visit. One very good thing about it is that Hanoi is actually a gateway to some of most stunning heritage sites in the world. One of these heritage sites and the most visited in the country is the legendary Halong Bay. Made of thousands of towering limestone islands and islets and some of the country’s indigenous tribes, a visit to this natural wonder is a big must-do side trip and is only a 4-hour drive from Hanoi capital. The most popular way to see it is by taking an overnight cruise across the bay and exploring the caves that were once home to the original settlers of the northern region. But if you reckon a more adventurous type of travel, then Cat Ba Island would be a great option as well. From here, you can trek the highest peak of the island inside the national park and get a breathtaking view of Halong Bay from afar. If your timing and budget is a bit tight on the other hand, a short day trip to world heritage Ninh Binh is also a great option, where recent Hollywood film Kong: Skull Island was shot in late 2015. It is a place where the views are so out-of-this-world and the people are the kindest. Hop on a traditional 4-person boat and make your way through the maze-like river system, be amazed at how locals row their boats with just their feet, and hike up the mountain pagodas to get a glimpse of what made this place such a popular destination for both luxury and adventure travelers alike. Ranked as one of the happiest nations in the globe, Vietnamese people are known for having the most genuine smiles and the friendliest in comparison to their neighboring countries such as Laos and Cambodia. Although a lot of tourists (and even expatriates) see it in a different perspective, making a friend in Vietnam is for sure making a friend for life. And you don’t even have to try that hard just to achieve it. Because of its historic struggles in the past and its recent economic boom plus the millions of tourists that flock the country year-in and year-out, the Vietnamese people have learned a lot and have learned well enough the value of making genuine connections with people from all over. Even as a short-time tourist, there’s a 99% chance that you’ll meet your Vietnamese best friend as long as you initiate the conversation and as long as you open up yourself to them as they can get really shy and insecure about their English skills. So one very good technique is to get out there and be as friendly as you can be. There’s this saying in the capital that there is always a Hanoian way in doing things, which is a lot easier to identify once you’ve spent some time with the locals. But again, there’s always an exception. Vietnamese, specifically Hanoians, and for those of you who are unfamiliar with the local culture, are probably one of the most resourceful group of individuals you’ll ever encounter in your lifetime. And this came about as a result of years of being colonized by three major countries, mainly China, France, and the United States being the last ruling people to leave the country in the mid-70s. Starting everything from scratch after the American War gave a new light to the people of Vietnam. With limited resources at hand and just enough food and money to get by, the first generation of locals who survived the aftermath have learned so much about what their country has to offer. And from there, they have figured out how to survive with very little, which brings us to the concept of the Hanoian way of doing things. For a lot of outsiders, it can be overwhelming and quite bizarre, but it all makes sense if you understand the reason behind each action that’s being done. Last but definitely not the least, there is no other way to best experience Hanoi than hopping on a back of a motorbike and brave through the organized chaos that is the traffic of Hanoi city. With an average of one motorbike per inhabitant in an 8 million people city, you’ve got no excuse at all not to try it for yourself. 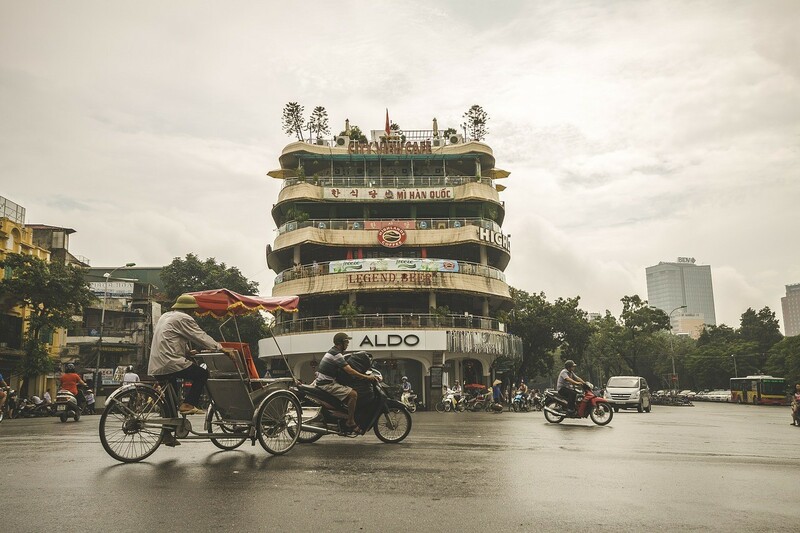 As it is also the main mode of transport for the whole country, driving the streets of Hanoi can ironically be both exhilarating and relaxing, depending on how you perceive the experience. Generally, it’s always a good idea to have someone to drive you around whom you already trust, like a friend of a friend or a tour operator who does motorbike tours around the city. But again, being adventurous from time to time doesn’t hurt either. What's the point of traveling to an exotic place like Vietnam if you’re not willing to be carefree for at least one hour or even a short half an hour in a year, right? So what are you waiting for? Pack that bag and prep up for your next big trip to the capital city of Vietnam! I've always wanted to visit Vietnam. It seems like it is an amazing place. Wow this would be amazing. My youngest son is so obsessed with Vietnam! I have never been out of the country, I would love to visit! I loved Hanoi and I wished I had more time to stay there longer. Such a shame I did like most and just used it as my port of entry to the Halong Bay cruise. Next time I hope!